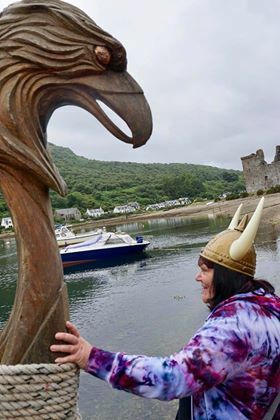 The Arran Viking Longship Society have appealed for the public’s help in finding the figurehead from their boat, The Black Eagle, which broke off whilst moored during the recent rough weather. The incident happened while the longship was moored at Lochranza following their appearance at the Sea Queen Gala Day in the village with fellow Vikings from the mainland. A reward is being if found and anyone with any information can contact Stephen on 01771 600110.